In Afghanistan, standing on one’s own feet as a woman has always been a struggle. Four very different women show that it is possible. But since the withdrawal of international troops has started, the Taliban are again becoming stronger. Will these women lose their freedom and independence? The civil rights and liberties of women have always reflected the constant ideological shifts in the political direction of the country. The Soviets sent women to school – in the name of a skilled work force. The Taliban forced them under the burqa – in the name of purity. 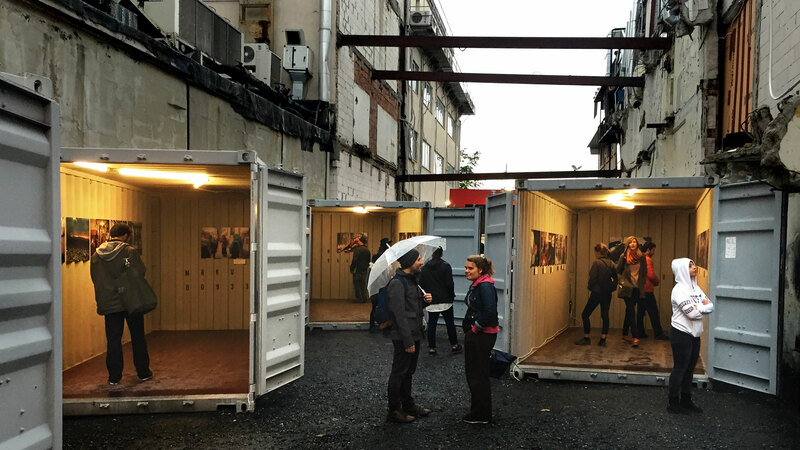 NATO Occupiers again encouraged their access to education – in the name of democracy. What’s next? In both Soviet and NATO times (and earlier, under the reign of reformist kings), women in larger cities were most able to develop their independence. Reinstatement of radical Islamist law would be a dramatic change for them, and aggravate the inner conflict between self-determination and traditional roles. Women living in rural areas have not benefited from such leaps in progress and would see little change in their communities. The plight of Afghan women have repeatedly been used to justify foreign intervention: the USA named basic rights and education for women one of their invasion's main goals after 9-11. And previously, in 1989, the Mujahideen, backed by Pakistan, Saudi-Arabia and the U.S., claimed that, under Soviet rule, women had lost their dignity and introduced compulsory Islamic clothing to re-establish it. 2008 saw women’s freedoms in Kabul reach its summit: women could freely walk the streets without a hijab. As NATO announced its 2014 withdrawal date, it seemed unlikely this would have no consequence for women and women’s issues. Since 2010 already, with the focus of world policy leaders shifting from Afghanistan, women are starting to be pushed out of public life as the Taliban and new movements like Daesh (IS) gain greater power. Aged 22 to 52, the four women in UNDAUNTED not only have different professional and social backgrounds, they were moulded by the different political and societal contexts they grew up in. Their lives and attitudes differ strongly depending on these influences. Only the eldest of them was born into a peaceful country. 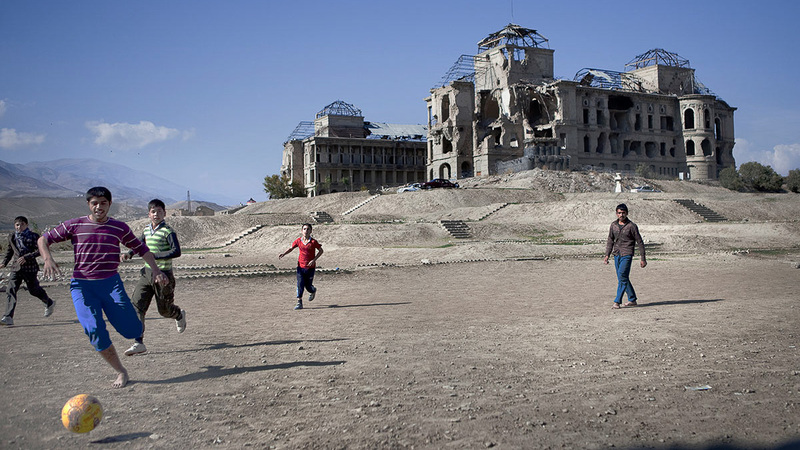 For almost 40 years, Afghanistan has been, and continues to be, shaken by war. Baker Reza Guel (*approx. 1980) represents more than 70% of Afghan women: She is illiterate, was married at a young age by her parents and has seven children. Only her husband’s opium addiction has given her the chance to earn her own money. Reza has spent her whole life in Kabul. Here, she has lived through Soviet occupation, guerrilla war, the Taliban regime and the American bombs after 9-11. 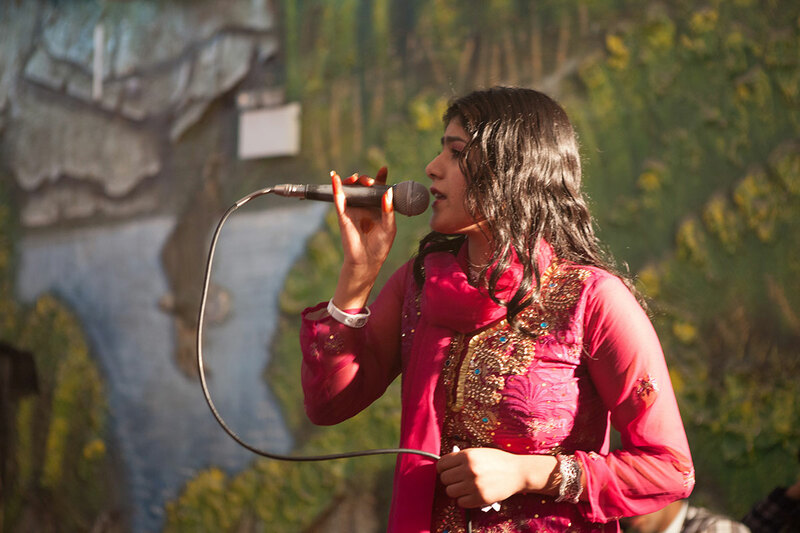 Singer Pari Ghulami (*1993) is a star. She is on radio and TV almost daily. Wedding concerts earn her up to 5000 USD. But for conservative Afghans, pop music is a sin, and Pari lives in constant risk of attack. Returning to Kabul with her family in 2002, the relatively peaceful era of NATO occupation made her career possible. Born in Pakistan, she has never witnessed the Taliban. Shinkai Karokhail (*1963) is among the 27% of women in the Afghan Parliament. Raised as the daughter of a tribal leader, she knows an Afghanistan without war, before her family fled the Soviets. Karokhail's fight against implenting an extreme Family Law for the Shiite minority has brought her several death threats. After a failed assault attempt in 2015, she was forced to leave the country for three months. Saba Sahar (*1976) is used to giving orders. As a policewoman and movie producer, she has made her way in two male-dominated fields. Young Saba profited from the Soviet policy that educated women to qualify them as workers. During the civil war, she fled to Pakistan. After her return, Saba benefitted directly from the NATO presence: both the police forces and her film production company received subsidies. It is still a widely held perception that only the NATO occupation of 2001 brought the women of Afghanistan education and democratic rights. But both under reformist Afghan kings and earlier occupants, women had been able to exercise notable degrees of individual freedom and civic rights – only to have such freedoms taken back again by the next regime in power. After the withdrawal of NATO troops, how will the story continue? How stable are the role shifts achieved by these women in a society where the roots of patriarchy are old, strong and strict? Can they be sustained in an environment where the Taliban already regained 30% control of the country? In spring 2015, 27‐year‐old Farkhunda Malekzada was beaten to death by an angry mob in the middle of Kabul, after she dared object to a Mullah. Her murderers were not religious fundamentalists. In fact, many were young men in t-shirts and blue jeans who recorded the scene on smartphones – people with access to education and to the Internet. If this is the core of Afghanistan’s society today, women have every reason to be worried. The next years will be a struggle – as it has always been. 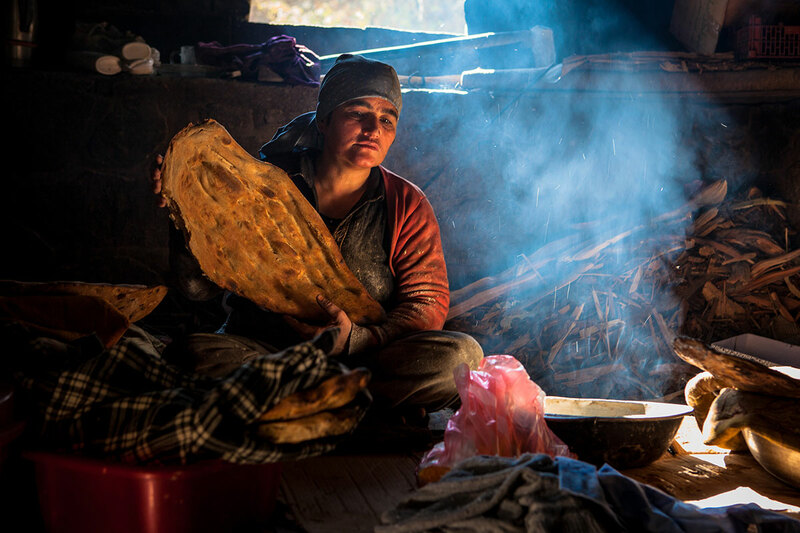 In the heat of her traditional clay oven, Reza Guel bakes several hundred loaves of bread each day. Her earnings pay for her seven children – and for her husband’s opium. 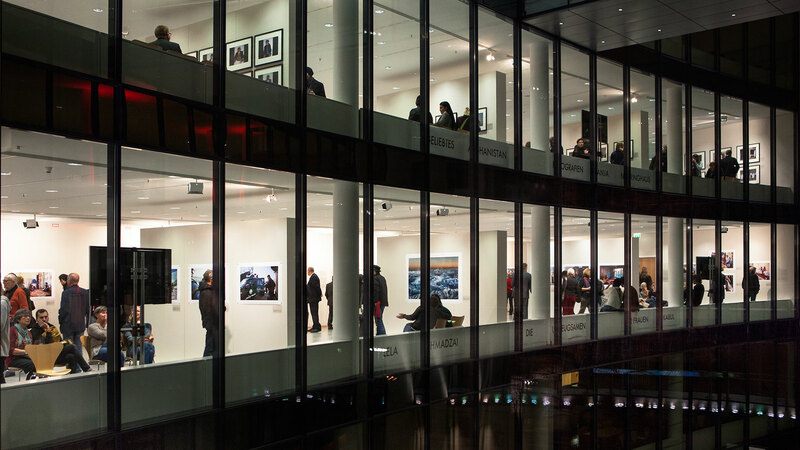 Artist Pari Ghulami is admired by many – threatened with death by others. Pari is a pop star and earns good money. But for conservative Afghans, pop music is a sin. Parliamentarian Shinkai Karokhail stands by her convictions. 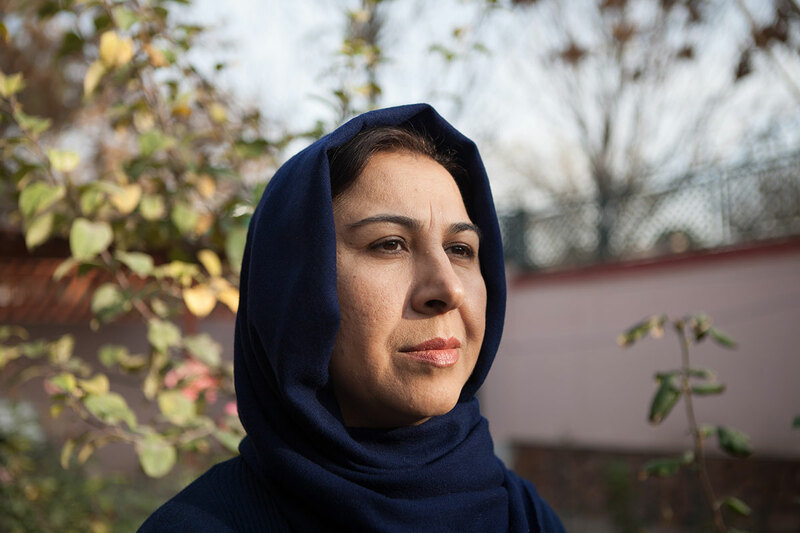 As a woman, this can be dangerous: in 2015, she was forced to leave Afghanistan after two failed attacks. 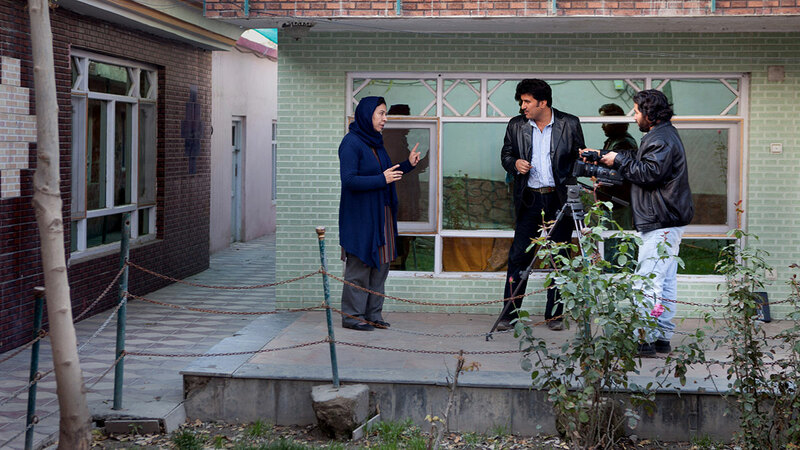 Saba Sahar is a permanent provocation for Afghanistan’s men: She is a police director and runs her own film production company. A woman who gives orders. Ten long hours a day, baker Reza Guel sits cross­legged on the floor, bent over the hot tandoor. She works hard to offer her children a better education than she had had herself. But the Taliban are clearly getting stronger again. If they regain power over the country, Reza fears that she will not be allowed to work anymore. Reza never went to school. She was married by her parents at the age of 16. Normally, women with a traditional family background like her do not work. But Reza lost her first, beloved husband during the civil war in the 1990’s. To be able to keep her children, she had to marry his brother, a construction worker. At first, he fed the family, but during a work stay in Iran, he fell for the temptations of opium. 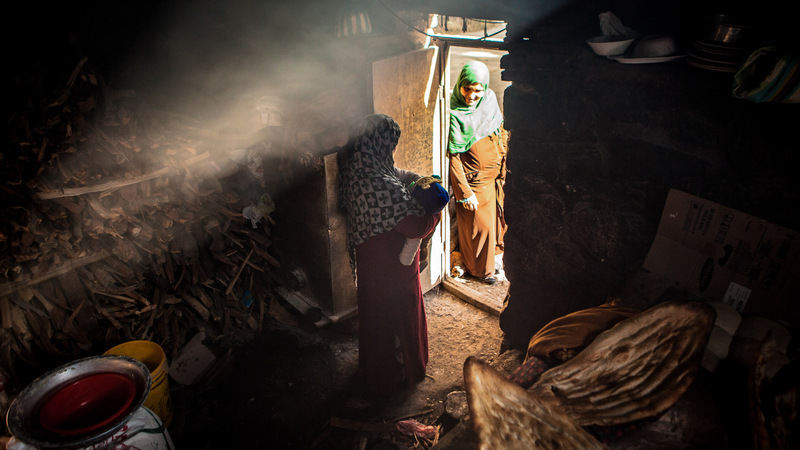 The new circumstances left no choice but for Reza to be the family’s breadwinner. Her husband is often laughed at for depending on her. Reza’s husband “Abdul Jan” (38 ys.) is a construction worker, but he has been unemployed for more than seven years. The couple have been married for twelve years and have five children together. The air is filled with smoke and a babble of voices. Reza’s customers often wait up to three hours for their bread. There are only women here. 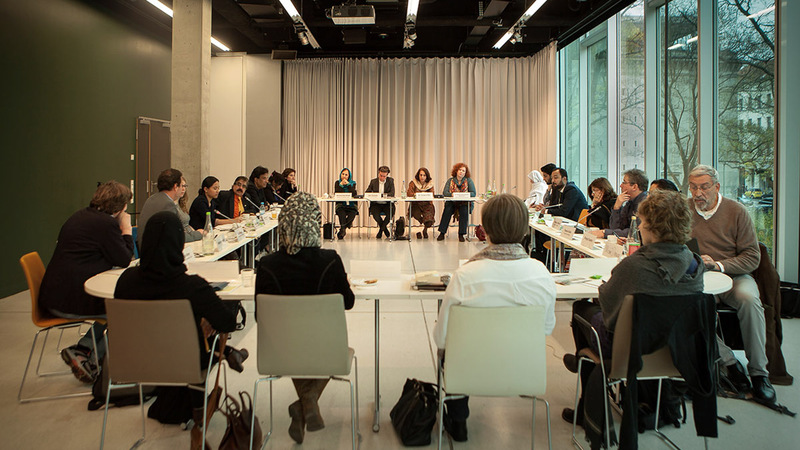 While they are waiting, they talk about subjects they cannot discuss in the presence of men – from gossip to fundamental aspects of being a woman in Afghanistan, like the story of a young girl who was stoned to death after she had tried to escape an arranged marriage. In Reza’s bakery, the women are free to be loud, get upset or complain about things – and to giggle and laugh. Until eventually, their bread is ready. Makroyan, where Reza has her bakery, is a relatively wealthy neighborhood: many former officials and functionaries from Soviet times live here. 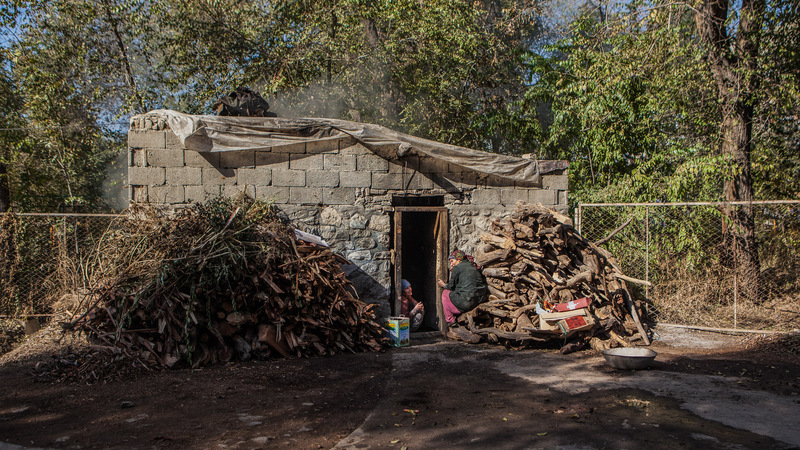 Reza’s home is a one­room hut the family built by themselves on Qalai Zaman Khan hill. It takes her about an hour’s walk each way to get to work and back. Reza’s bakery has hardly changed over the years. But if the Taliban regain power, this will undoubtedly affect this protected space of female exchange, too. Reza’s body still bears traces of the old regime’s cruelty: When allegedly, her ankles had been visible below her dress one day, she was beaten with a cable. Already, the radical forces have almost a third of the country again under their control. Their return is one of the most emotionally discussed subjects among the women in the bakery – and one of their greatest fears. Should female work be forbidden again, Reza’s bakery and the women’s lively discussions are bound to disappear. Reza wants to keep working. She needs to. 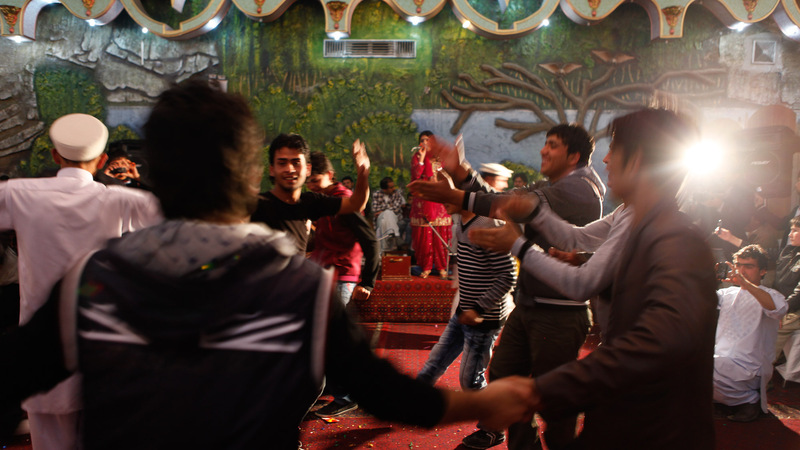 A wedding party in Kabul. 800 men fill the hall. The only woman is the singer on stage. Pari Ghulami knows about the dangers of being a female artist. Soon, public performances may be forbidden altogether. Pari and her songs appear on radio and TV regularly. Private wedding concerts earn her up to 5000 U.S. Dollars for an evening – enough to feed the whole family of twelve. Her most popular YouTube videos have around 250 000 views. Clearly, Pari is doing fine. If only it wasn’t for this strange feeling breathing down her neck. Pari can never fully relax on stage. At any time, she could be attacked from within the crowd. Pari spends a good part of her fee on private security personnel. Even if they dance to her songs here, many of the more conservative men harbour fears that Pari’s success could inspire their own sisters or daughters to become singers – and in their eyes, female artists are “whores“. Interestingly, these very people make up the core of Pari’s fan base. Pari sings about lovers forced to stay apart, about longing and desire. In a country where more than 80% of marriages are still arranged, this is the perfect soundtrack for many lives. Pari’s songs carry her fans away to a world of romance and passion. From when he discovered her at the age of 8, Pari’s manager Salim Shaheen has pursued an elaborate marketing strategy. He named her Pari – Angel – for the stage and made her sing most of her songs in Pashto, the country’s most important language. At home, Pari speaks Dari. Often, she only roughly understands her own lyrics. Pari knows the risks of being a female artist –but she also knows how lucky she was to grow up in the “NATO generation“, when it was possible to turn her talent into a career. The more power radical forces gain, the stronger the strange feeling in Pari’s neck will get. Already, she has clearly reacted to the latest developments. In 2015, her dresses are longer and more sombre. Security men accompany her whenever she leaves the house – no longer just to shows. What a difference compared to the light-hearted girl of 2011 who did often not even wear a headscarf. And while for Pari’s family, private wedding shows are lucrative, manager Shaheen has come under pressure for working with a "dubious" artist. To protect his reputation, he does not book Pari for movies anymore. Afghanistan, a safe country? 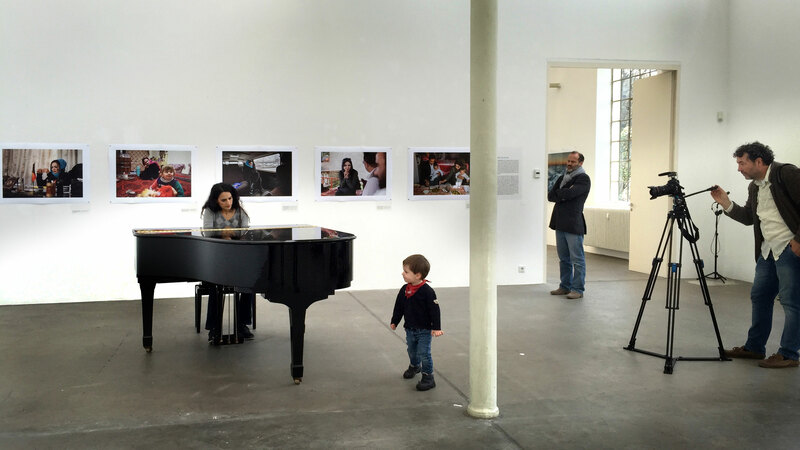 Shinkai Karokhail cannot stop wondering about how parts of the world public see her homeland. While the presence of NATO troops brought a phase of relative stability where women were able to establish themselves in many areas of society, Shinkai has no doubt that Afghanistan still relies on international support to consolidate these developments. She fears the steady withdrawal of troops since 2014 is likely to result in setbacks for women’s rights. A conference in Berlin, in November 2015. Shinkai Karokhail is invited to discuss women’s quotas in Afghanistan and Pakistan. But another subject causes just as much debate: German Minister of the Interior, Thomas de Maizière, had stated that he expected Afghans to stay in their country to help with development after the West had invested so much to ensure better security. But Shinkai knows all too well just how dangerous the country has once again become – especially for working women. After two failed assault attempts on her, she was forced to leave the country for three months in 2015. In 2005, Shinkai Karokhail was first elected to the Wolesi Jirga, Afghanistan’s Lower House. After ten years as an MP, she has to settle for small achievements. The fight against corruption seems endless, and trying to better women’s rights futile. Shinkai has launched several campaigns to officially condemn violence against women and to limit the potential for men to undermine the basic rights of women – not one of them were approved. Ensuring public funds for women’s education is as far as it goes. Shinkai Karokhail was born in 1963 to the family of a tribal leader and landowner. It was far from understood that her father sent his daughter to school, and he was often criticized within the tribe for doing so. 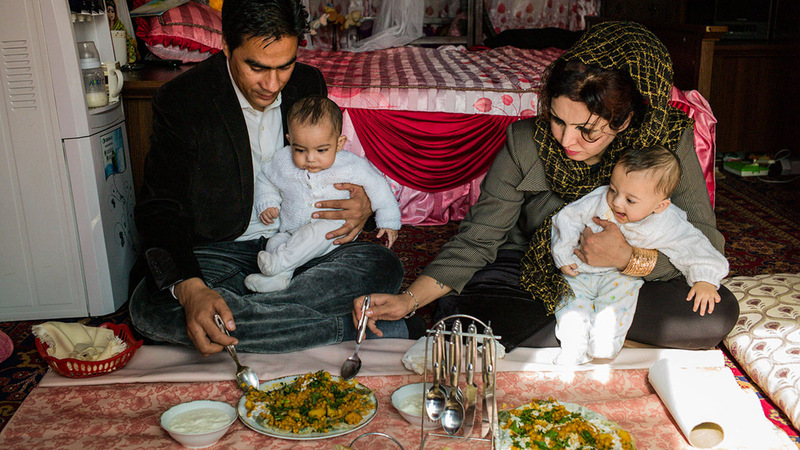 The family fled the Soviet invasion in 1979 and moved to Pakistan. There, Shinkai studied English and Medicine. In 2002, she returned to Kabul. Shinkai will probably not run for another term. She has been battling breast cancer and now thinks about creating the first specialized cancer centre in Afghanistan. Also, it has become a permanent threat to be a woman and a public figure. Shinkai is convinced that attacks such as the ones against her will become more frequent. As the presence of NATO troops becomes weaker, the presence of not only the Taliban, but also of groups like Daesh (IS), AlQaida and the almost forgotten warlords will become stronger – a trend that has already begun. Shinkai is not surprised these developments have lead to a rise in Afghan refugee numbers. And, as is often the case, it is the wealthy and educated, those with resources, who leave. On the set of a crime series in Kabul. Men in uniforms dominate the scenery. But clearly, the person in charge is a woman. Saba Sahar’s orders are loud and precise. She knows exactly what she is talking about – Sahar is not only a film producer, but also a director in the Kabul police force. 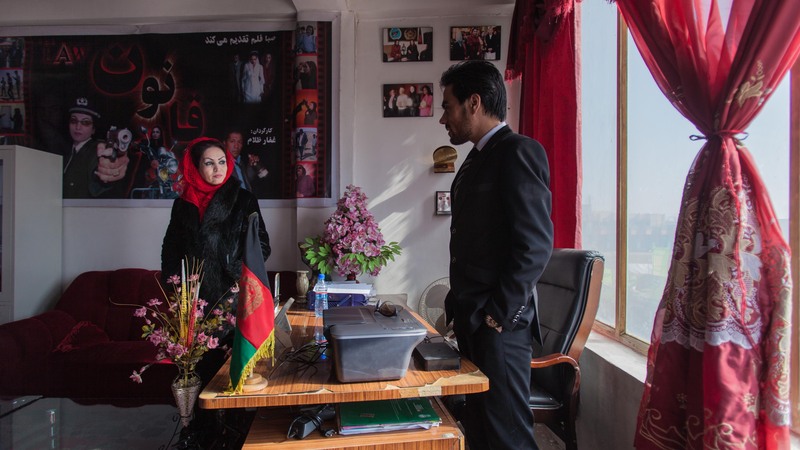 Young Saba Sahar benefits from the Soviet influence on Afghanistan: she attends school and acting classes and later starts a career with the police force. In the video, we see her being sworn in at the end of her training. Shortly after, civil war begins – and the rift goes right through her family. While Saba Sahar has carved her way through two very male-dominated fields, she has also suffered blows that are typical for the women of her generation. At 16, her parents marry her to a man she does not love. He joins the Mujahideen and fights the Soviets – and Saba’s career. The couple separate and he takes custody of their three children. Saba had no say in the matter and has never seen them again. After the Soviets withdraw their troops, working outside of the home becomes more and more difficult for women. Saba tries to find a niche as a hairdresser and with a cosmetics studio, finally fleeing to Pakistan until 2002 when she can safely return. Saba’s crime series “Commissar Amanullah“ has a clear goal beyond entertainment. It is aimed at raising awareness of the public institutions and law and order amongst Afghans. The EU Police Mission in Afghanistan (EUPOL) and the German foreign aid association fund the project. Still, the rule of law faces challenges from corruption and nepotism on a daily basis. The police forces, in particular, struggle to assert their position of authority, and many of Saba’s colleagues have died on duty. Female police officers are in particular danger. Seeing how little has improved, Saba, too, has her doubts whether it is really worth taking such a great risk. But if she were to quit her job, she would lose the rights to her state pension. Saba Sahar and her husband Emal Zaki have been working together for 12 years. In “Commissar Amanullah“, Zaki played the main role. Now he is Saba’s partner in private life, too: Against social conventions, the couple got married and, in 2015, had twins together. 2015 was a difficult year for Saba Sahar. After the withdrawal of NATO and EUPOL forces, funding for “Commissar Amanullah” ended and she was forced to close her production company – “temporarily“, as Saba says. Now, with so much spare time, she is mostly found at home with her twins. Saba Sahar, the caring mother: a role that will take some getting used to for both her and anyone who has seen her work. For now, her love and her babies are the only things to help her feel complete.